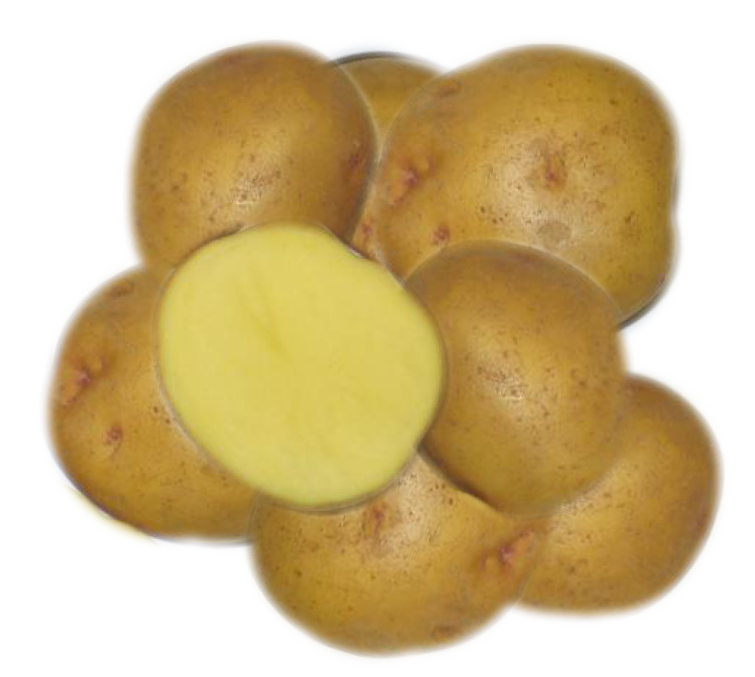 Sold Out 2019 -Oval, slightly flattened tubers, yellow, skin light yellow flesh. Tubers can grow quite large and store well. Good for boiling baking and frying. Plants look similar to a tomato plant. Oval, slightly flattened tubers, yellow, skin light yellow flesh. Tubers can grow quite large and store well. Good for boiling baking and frying. Plants look similar to a tomato plant.